ANONYMOUS, WHICH CAME INTO BEING on the online message board 4chan eight years ago, is by nature and intent difficult to define: a name employed by various groups of hackers, technologists, activists, human rights advocates, and geeks; a cluster of ideas and ideals adopted by these people and centered around the concept of anonymity; a banner for collective actions online and in the real world that have ranged from fearsome but trivial pranks to technological support for Arab revolutionaries. In recent months, Anonymous has announced audacious plans to take down the seemingly invincible Mexican drug cartels; instigated and promoted the nationwide Occupy movement; and shut down the website of the Florida Family Association, which is behind the campaign against the television show All-American Muslim, and leaked the names and credit card numbers of donors. What we took away from the documentary is that these online communities, while relatively easy to build, can be used in various ways. It’s almost scary just how quickly this movement came to be. As one Anonymous member said, we are like a flock of birds flying, if one moves we all move in the same direction. Somewhat like a push and pull movement that extends over a large amount of emotional spectrums. While these individuals or groups act anonymously and randomly, who is there to take accountability for the actions, especially when it causes people’s lives to be ruined? Stan Lee once said, “with great power comes great responsibility,” and the fact that these hacktivists have an amazing talent and a great deal of potential but are not owning up to it takes away from their credibility. In the World of anonymous if you’re keeping your plans for your business secret, that is wrong, and all of your private files will be exposed, whether they hurt someone or not. All it takes is one person from the community to feel offended and boom, anonymous is blowing up your emails and phone lines, and creating horrifically mean memes and protesting outside your organizations doors. Anonymous proves that, at the same time they are actually, whether legal or not, they are going out there and attempting to preserve our constitutional rights and freedoms. While a lot of Anonymous’ efforts have been childish and unimportant, their efforts in the Middle East, their attacks on the hypocrisy of PayPal, Mastercard and The Church of Tom Cruise as well as similar organizations like Wikileaks, show that they have an important voice in society; the people should not fear its government – the government should fear its people. In terms of what can this teach us about digital community building in general – is simply, it’s possible. If you have a group that feels strongly about something, truly believes something needs to be brought to justice, you can cause a blip in the system. No matter who you are, what your cause is, and what you’re fighting for, on the internet you’re always bound to find someone who is willing to take up arms with you. Up until now, we have thought about the consistency of a digital community, the role of media in its formation, the ways of participation, as well as the spatial (proximitydimension of in such communities. Now we move into the specific, often explicitly planned purposes of communities. The purpose of this post is highlight some aspects of the importance of digital communities to two major areas of our societies: political participation and commercial activities. 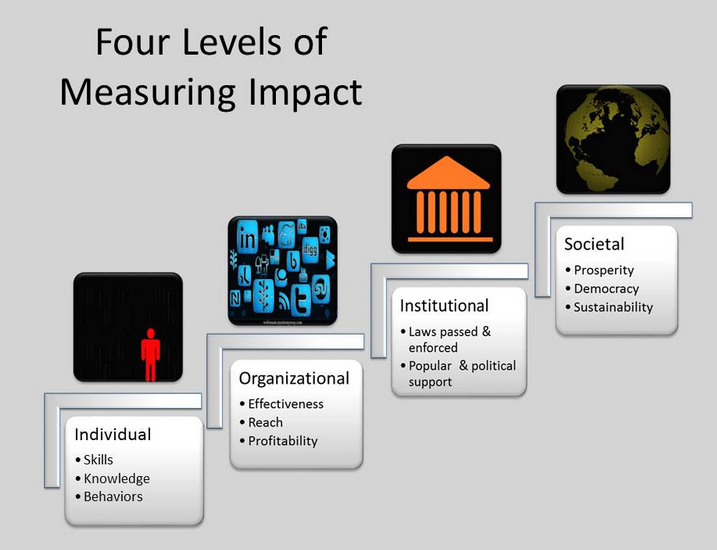 In a way, we are taking macro (society) and meso (institutions = business) perspectives to some purposeful communities. An open platform for community building. An accessible arena for deliberative discussion. A means to reach across space and disregard time to forge new relationships and rekindle old ones. An arena to deliberate and solve global issues and to form a multitude of new alliances across geographic, institutional and other sociocultural borders. Once a means merely to connect people to one another, the internet, with its dressing of Web 2.0 finery, is said to have evolved into a place for substantive social organizing. 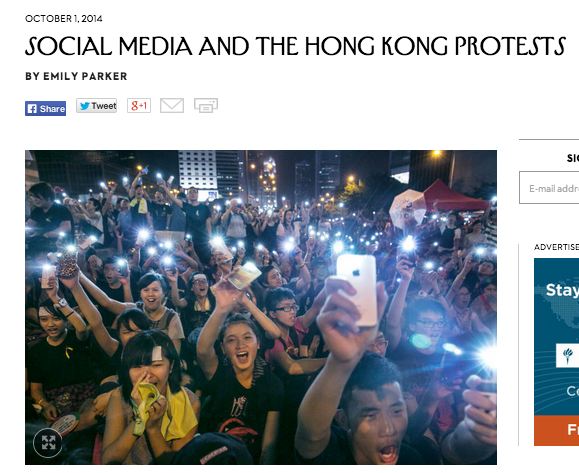 To be sure, social media communities have brought conflicts and protests for the entire (wired) world to view. Most wold argue that from the Arab Spring to Hong Kong, we all monitor and, to some extent, participate as witnesses f major polirtcal events. the journalism domain (from major news organizations to bloggers). A new force, rooted in new tools and practices built on and around the Internet, is rising alongside the old system of money intensive broadcast politics. Today, for almost no money, anyone can be a reporter, a community organizer, an ad-maker, a publisher, a money-raiser, or a leader. If what they have to say is compelling, it will spread. The cost of finding like-minded souls, banding together, and speaking to the powerful has dropped to almost zero. 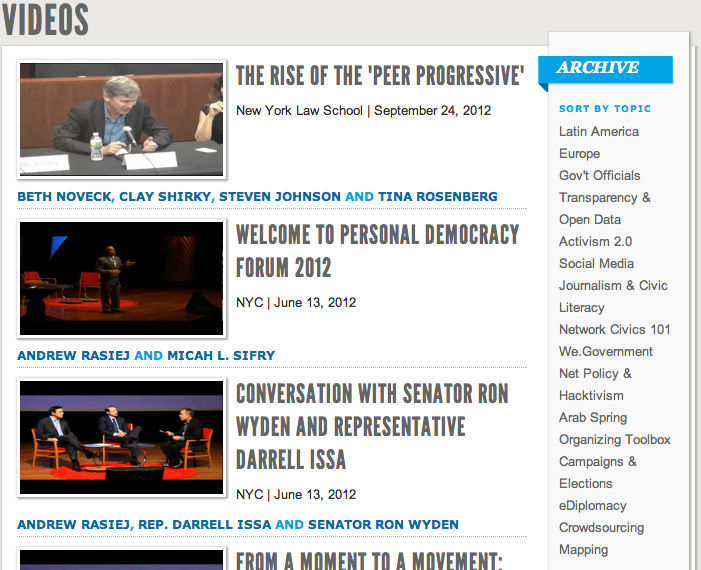 Networked voices are reviving the civic conversation. More people, everyday, are discovering this new power. After years of being treated like passive subjects of marketing and manipulation, citizens want to be heard. Members expect a say in the decision-making process of the networked organizations they join. Readers want to talk back to the news-makers. Citizens are insisting on more openness and transparency from government and from corporations too. All the old institutions and players – big money, top-down parties, big-foot journalism, cloistered organizations – must adapt fast or face losing status and power, and some of them are. That evolution is happening as some governments, political organizations, businesses and nonprofits begin to embrace participation and transparency. The realization of “Personal Democracy,” where everyone is a full participant, is coming. … [A] new model of political change is on the rise, transforming everything from local governments to classrooms, from protest movements to health care. [T]his new political worldview [is] influenced by the success and interconnectedness of the Internet, by peer networks, but not dependent on high-tech solutions — that breaks with the conventional categories of liberal or conservative, public vs. private thinking. 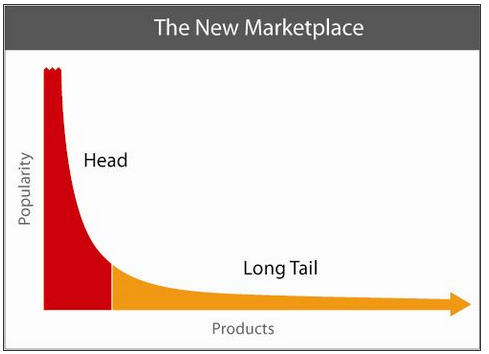 O nline communities have given businesses the advantage of The Long Tail (Anderson – Dropbox reading): Niche markets are interested in, and will get to know about, niche market products. In addition, digital communities are free labour for businesses. They do a lot of the work of marketing research companies (everyone is at least somewhat aware of the fact that we reveal key data about us online), as well as advertising agencies and media outlets. Hence: Viral marketing campaigns are working to a great extent because we are working. We share with our communities (and for a few other reasons: here is a fun analysis of successful recent campaigns). As our friend Seth Godin would note, the power of the sneezers — those who are central in spreading ideas — is multiplied because of digital communication, and communities. Communicating Thought Leadership: One way for a brand to lose credibility with a social audience is to simply spam them with “opportunities” to purchase a product or service without providing any value. This value can come in many forms, but should be designed to teach, entertain, ignite discussions, and gain honest feedback. Social media is the perfect platform for a brand to communicate their expertise in a given industry, and do so by providing great content that people will share with others. This is how companies can become thought leaders in their space. Transparency: This is an area that executives and decision makers have feared the most but a hurdle that must be overcome for a company to be successful using social media. In today’s digital world, transparency is an inherent reality, as people will be talking about issues associated with your brand online. Companies need to embrace this and get involved in guiding that conversation. In a report from eMarketer, 77% of buyers said they are more likely to buy from a company if the CEO uses social media, and 82% trust the company more. This is impressive, and telling of how consumers want to engage with brands and top-level executives. Quick & Responsive Customer Communication – If consumers know they can reach out to your company via social media and are encouraged to do so, this is a good opportunity to provide great service in front of a large audience. Don’t be afraid of customer complaints. Address them head on. These opportunities can often turn into great testimonials when customers are handled with care. Ensures Accountability: When companies are openly engaged in social media and encouraging their audience to interact with them, it ensures a certain level of accountability. In using social media aggressively, a brand can essentially hold itself accountable for providing great products, services, and customer service. They can’t afford not to! But isn’t that the goal anyway? Fun & Simple Engagement: Another way to build and maintain trust is through entertainment. Don’t always make it about your company and its services or value. This goes back to thought leadership and content marketing. Provide value in a fun and creative way through daily content, apps, videos, contests, sweepstakes, and infographics. The opportunities are endless. Social Responsibility: A great way to build trust with your customers is to let them know that you care about others more than just yourself. The same goes for building brand equity. Socially responsible brands often gain more momentum because their customers know they aren’t just about profits, but also giving back to their communities or the world around them. Social media channels are the perfect platform to communicate this message and let it spread organically. For example, Marriott is running a check-in campaign that encourages guests to check-in, and the hotel will donate $2 to charity. This promotion is intended to leverage a typical social interaction for the greater good. One of the classic cases is that of the DKNY PR Girl. Started as a spontaneous (and first anonymous) personal gossipy fashion-focused Twitter account the phenomenon went viral and became a model on how to build online communities around a brand. Behind it all is the the senior vice president of Global Communications for Donna Karan International, Aliza Licht who finally revealed her identity on YouTube. Licht credits her social media success to its authenticity. “It’s organic and I think that’s why it works,” she said. She said posts are always better when they’re a natural extension of yourself and aren’t overly planned — since 2009, Licht said she’s only planned one post (on Tumblr) and hated the results, which she said felt disjointed with the other conversations she was having in real time. Since then, authenticity has been her key to success. “I find things I like and turn them into social moments,” she said. If you’re trying to build up your own social media following or your company’s, don’t force it. Oftentimes, the less pre-determined posts are, the better. By now, most people know that you have to be careful about what you post, tweet or Instagram. But as Licht explained, it’s still easy for people to post something in the heat of the moment that they later regret. While authenticity in posts is certainly important, there’s a line between being candid and being inappropriate. Bottom line: Nothing online is private. Only post things you want people to associate with you, even from a “personal” account. That is for you to map out. Find out a bad, bad case of a digital community gone wrong, either in the realm of politics or business. Share your cases here on VoiceThread: 3 sentences describing the case, 3 sentences about what we can learn from the case. Create a (free) profile for yourself. Answer by recording a video with your computer webcam or its internal microphone, text/call, or write a comment. It is easy: Just follow the prompts that Voicethread gives you. This screenshot illustrates the view when you are screening the video on Voicethread. To leave comment, you will simply click the Comment button. Then you can choose whether you want to call in your comment (the phone icon), record it with webcam (the camera icon) or computer mic (the mic + record icon), or write it (the A + type icon). Just click on the comment option of your choice.